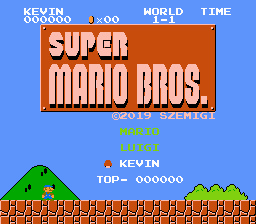 Hey, this reminded me that Szemigi intended to release a Side C of his old hack Super Mario Bros. Gold Edition starring Kevin. He even released a video of Kevin's first course. Yeah, but in Side C it's not the final version of Kevin (I mean his abilities).